Jim's Firearms Inc. has been building, customizing and repairing firearms since 1990. 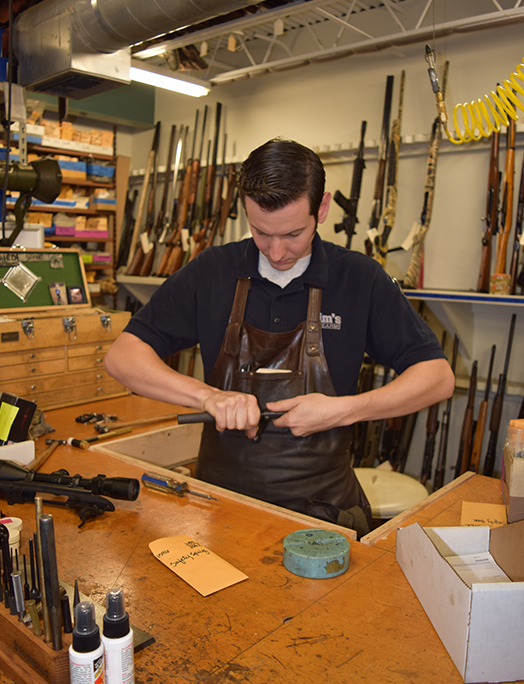 The gunsmithing department has over 65 years of combined experience. We are proud to offer one of the fastest turn around times in the industry. From the simplest repair to the most intricate custom job, we pay attention to the details. Let us customize a gun to fit you.